Our flagship product, SigerTax, is a comprehensive property tax software program that provides the technology and flexibility to organize, manage and report Real and Personal Property Tax information. 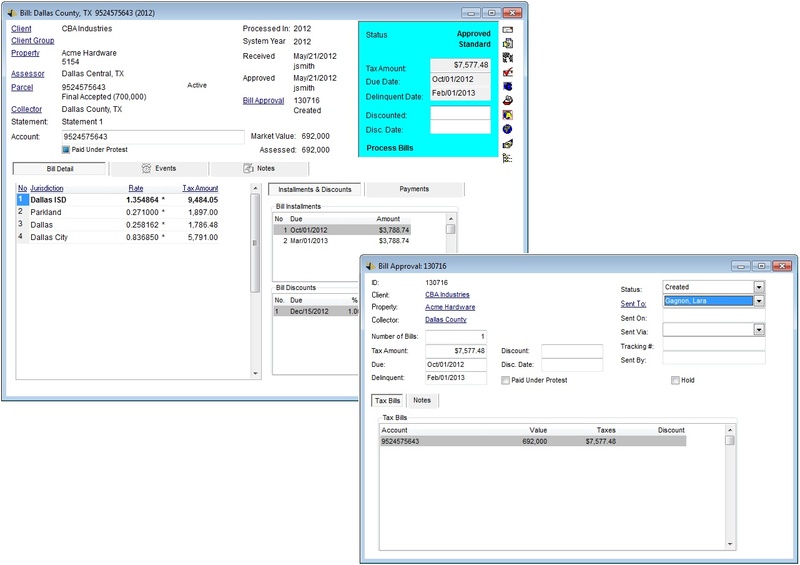 Designed and developed with both Property Tax Consultants as well as internal tax professionals in mind, SigerTax allows you to efficiently manage your property tax portfolio including managing valuations and appeals, tracking time, preparing returns, streamlining compliance, and tracking bills and payments. The program's intuitive interface guides you through the analysis and preparation of credible Real and Personal Property Tax valuations and returns saving you precious time and money. We also offer a web interface that allows read-only access to the data in order to look up information and run reports. The SigerTax system allows you to track clients or organizations as well as contacts. Add unlimited addresses, phone numbers, and email addresses to clients and contacts. Associate multiple contacts with a client or property, and track the role of the contact within a client or property as well. Send E-Mail, generate letters, and fill out PDF forms directly from the system. In the SigerTax system, properties are separate entities from the numerous parcels that can comprise them. Each property and parcel can be accessed individually. Track Parcel values with no limit to the number or kind of values associated with a parcel, such as proposed, rendered, supplemental, informal hearing, etc. Link documents to a property or parcel for easy access. A unique attribute of the SigerTax system is the ability to search for all data with any criteria. Any column of data can be searched on and the search fields are customizable. Links to the most common searches are easily accessible. Data can be exported to Excel or other formats directly from the search results. The SigerTax system handles the entire return generation process from loading assets and assigning schedules, to generating returns and automatically filling out PDF forms. Load asset lists into the system using the original column layout. Assign asset classes at once directly from the asset list during processing. Reclass and make adjustments to individual assets. The SigerTax system tracks Tax Bills, Tax Bill Processing and verification, and even payments. Process and approve Tax Bills to generate Transmittal documents. Easily track and process standard bills, supplemental bills, refunds, and even penalties. Generate In-Lieu-Of Tax Bills based on Parcel value and jurisdictional data. Track discounts and installments for each tax bill, as well as payments to date. The SigerTax system allows you to track pertinent information concerning the assessors, collectors, and jurisdictions of a city, county, or state. Asset classes, and the appropriate depreciation schedules are also tracked at this level and can be setup for an entire state, or for individual assessors. Deadline dates, Tax Rates, Ratios and other information can be tracked for as many tax years as necessary. Historic jurisdiction information remains in the system to show a complete picture of a parcel's tax history. Once a jurisdiction is associated with a collector, SigerTax will automatically create the collector’s tax bills for any parcel when a tax record for the jurisdiction is added to the parcel. The sigerTax system is able to create individualized reports with your logo and contact information for many areas featured in the system. Reports are available for clients, properties and parcels. Many of the reports have numerous options for limiting or including data in the report as well as adjusting various display elements. Reports can be run from filtered lists to include or exclude records depending on the situation.